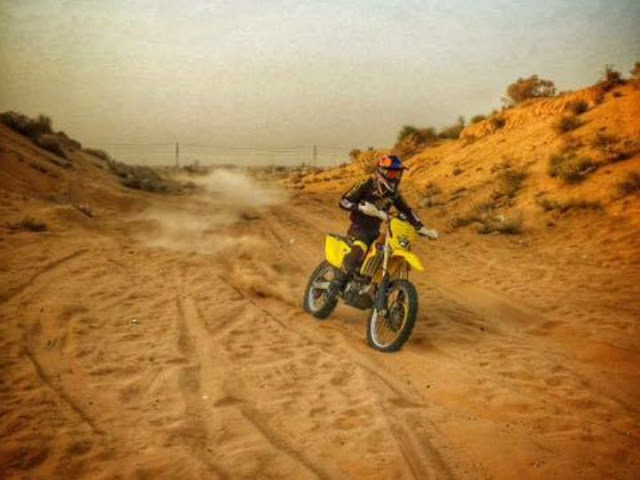 Northern Motorsport, a well-known motorsport club based in Noida organised the India Baja 2016 last week in the sand dunes of Rajasthan. The Baja (pronounced Ba-ha) is an international format of rallying that originated in the Baja region of North America and enjoys huge popularity abroad. Northern Motorsport, famous for organising some of the biggest motorsport events in the country, including the annual Desert Storm have thus introduced Indian motorsport enthusiasts to this interesting format of rallying which involves high speed action over a stipulated time period. Internationally, the Baja has competitors in cars, motorcycles, trucks and quads, drive on competitive sections whether day or night, in the quest for top honours. The inaugural India Baja had as many as 29 motorcycles and 32 cars go hell for leather across 300km of timed, competitive stages while the total distance of the rally was 500km across the sand dunes of Bikaner in Rajasthan. The line-up of riders and drivers included some of the best rallying talents in the country like Suresh Rana, Sunny Sidhu, Raj Singh Rathore and of course India’s only Dakar competitor and returnee, CS Santosh along with Vijay Parmar and Jes David on two wheels. The gruelling rally saw a mere 7 bikes and 10 cars make it to the finish after completing the six competitive stages. Suresh Rana (co-driver Ashwin Naik) driving for Team Maruti claimed top honours in the T1 category for modified vehicles, while Niju Padia (co-driver Neerav Mehta) finished first in the T2 class for stock vehicles. Raj Singh Rathore (co-driver Rihen Bharadwaj) of Team Polaris emerged victorious in T3 class for purpose-built vehicles. CS Santosh had little trouble claiming the honour of being the fastest man on two wheels, while Pramod Joshua finished first in the quads category. 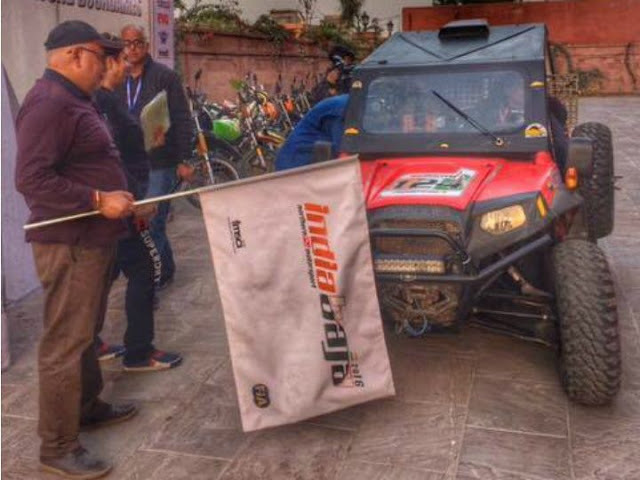 Jayesh Desai and Raj Kapoor from Northern Motorsport, the organisers of the India Baja ensured safety standards during the rally were of the highest order, and even trained marshals a day prior to the rally. Live tracking on the internet was made available providing instant updates through the rally, and the organisers are keen on bringing in international competitors for the next edition of the India Baja. We even hear Northern Motorsport is in talks with the organisers of the Dakar rally to bring India on the global rallying map with the India Baja given its exciting format. That should ensure some fun times for rallying fanatics in the country.